Fairytales and Fitness: Xfinity Fitness Band and a Giveaway! 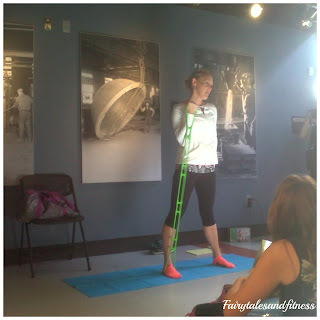 When I went to the Runner's World Blogger event, I was introduced to some amazing Yoga products from Lotus Fitness. After our 3 mile shakeout run with Bart Yasso, we returned to the Arts Quest building for a Recovery for Runners Yoga session. It's a good thing trainer Melanie was on hand to teach us how to use all these cool products. 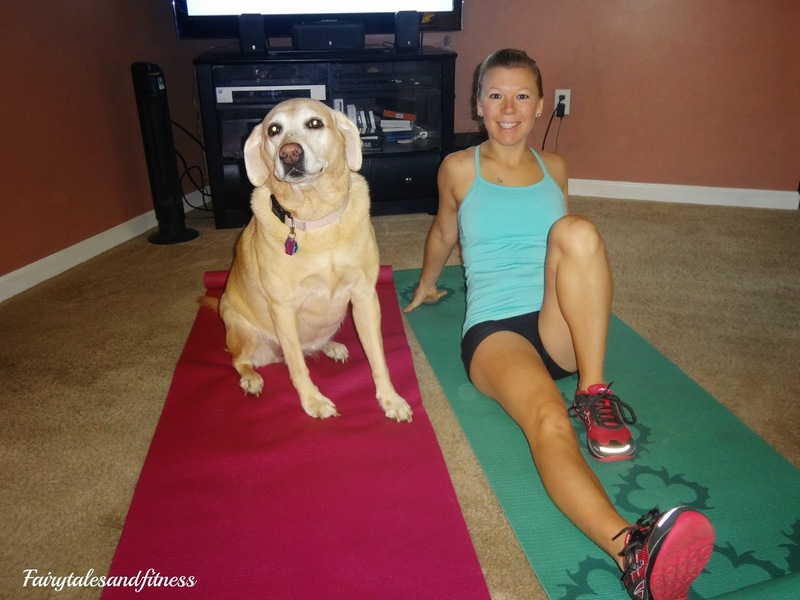 I was gifted some amazing Yoga products from Lotus Fitness so I could have my own Yoga session at my home! 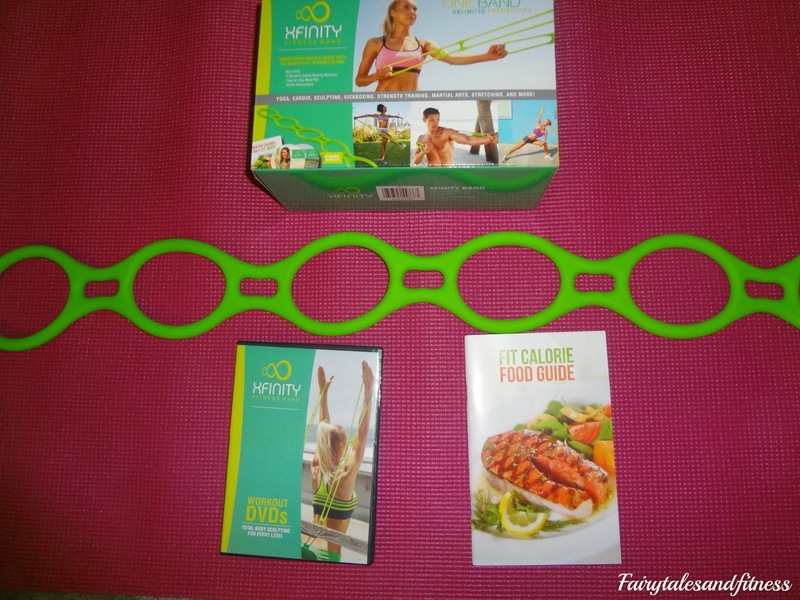 One of the products I used was the Xfinity Fitness Band. This Xfinity band promises to target every muscle group! You can do so many workouts with this one little band that I seriously think it could take the place of most fitness machines. And the fact that it is portable and you can take it anywhere is a big plus! I have used fitness bands similar to this ( that have broken on me. Yea, I must be that strong.....) but the unique design of Xfinity band is what makes it so special. The Xfinity band has six loops for hand grips or foot straps. This allows you to customize how little or how much resistance you want to have during your workout. 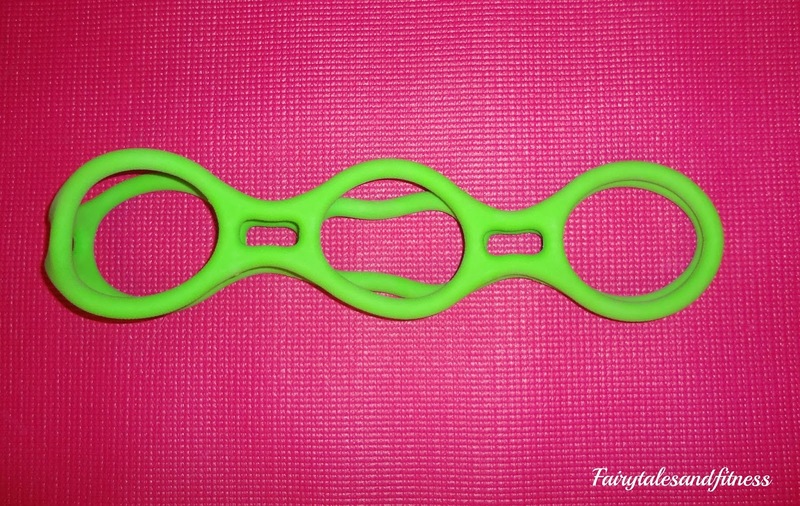 The smaller holes are thumb lock grips ( which give you a much better grip during certain workout sets). When you are first starting out, you'll want to use the outer loops. As you progress, move your hands ( or feet) closer together in the middle loops. Also, you can double the band for increased resistance! 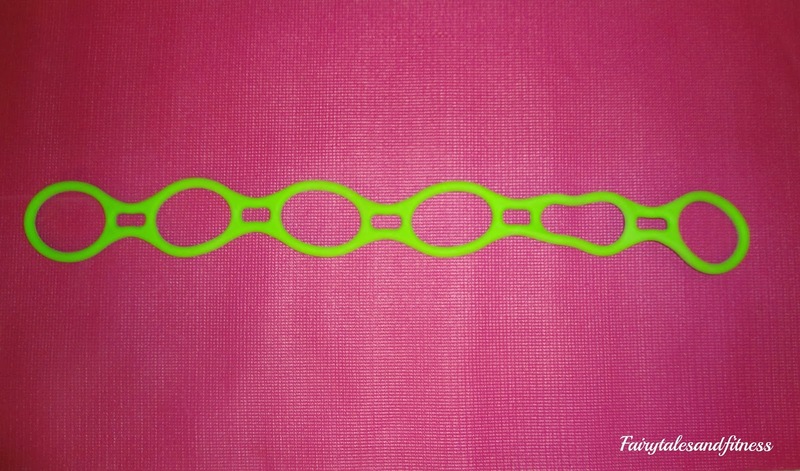 This band is made of very strong material and I don't see it snapping and breaking. Because of it's unique design, you can attach it to door knobs, furniture legs, or even use it with a partner to enhance your workout. When I used this, I felt that I had a really comfortable grip during the upper body exercises. The design of the thumb holes helped, and the band itself is made from a non slip type material which is key for holding a tight grip. Here are just a few tips for using it during a lower body workout. First, make sure you wear socks. I normally wear the low cut ones, but for these workouts I'll be wearing ones that cover my ankles just because you can feel the resistance of the band on your skin otherwise. Second, note that unless you have extremely small feet, your shoes are not going to slip right through these loops. 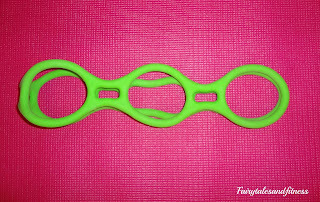 You have to STRETCH the loops open to slip your foot in ( I am just mentioning this because I read a review for this band where the person said it was not for woman with large feet because she could not get her foot through the loop with out stretching it open)! This band is for anyone ( men included) and for any foot size. You just have to stretch it. It's not suppose to be loose. 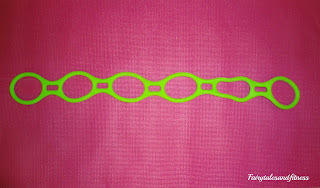 It's a resistance band, remember! Third, when doing the "stepping" exercises (where you loop both feet in the loops and move from side to side), I find it easier to do if you are OFF of your yoga mat. But that's just my personal opinion. Okay, now we will let you try to win an Xfinity band of your own. But Wait, you don't just get the band. You will also get 2 workout DVD's Total Body Sculpting For Every Level. In addition to the band and the DVD's, you will also get a Fit Calorie Food Guide filled with recipes and meal plans! 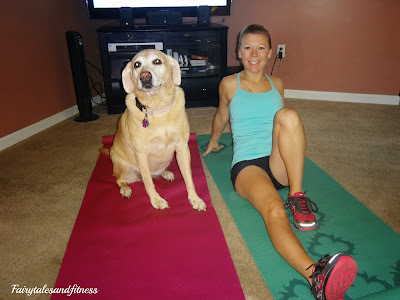 I admit it can sometimes be a challenge exercising at home because Baylee seems to always want to be involved! 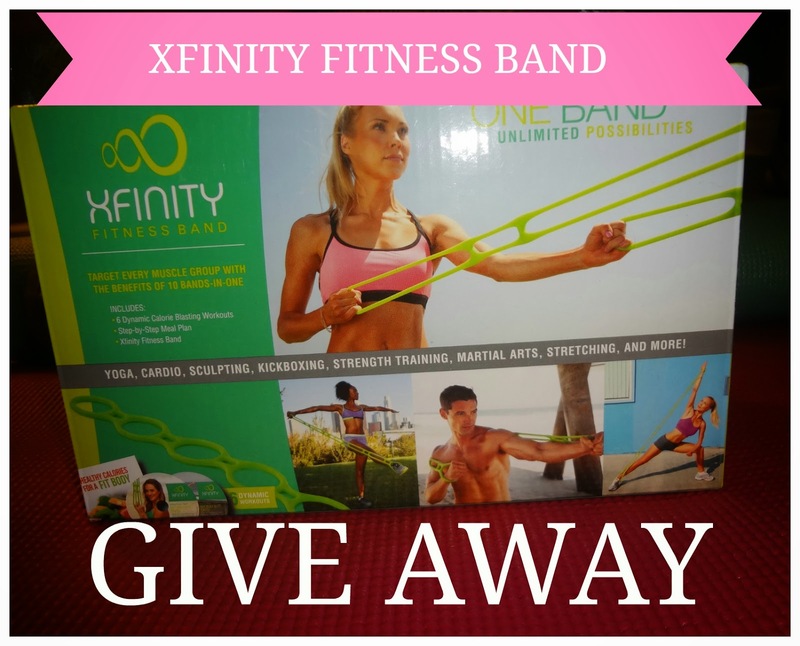 Okay, so who wants to win a free Xfinity band set? Even if you don't win this, you can still find Lotus Fitness products at Walmart and at Walmart.com. Right now the Xfinity band is retailing for $29.97. Not a bad deal for all that you are getting ( and just in time for the gift giving season too)! *I received a free Xfinity Band and all products related to it but the opinions expressed here are all my own. Note: This Giveaway will be ending at Midnight on Friday night 12/06. Winner will be announced in the next day's blog post. Adorable yellow lab is not included in the giveaway!!!! What is your favorite fitness tool to use? ( P.S make sure if you comment, that you click that option off on the Rafflecopter so your comment counts towards an entry for the giveaway)! My favorite fitness tool is probably my heart rate monitor. I love seeing how hard I'm working! My favorite tool, other than my running shoes is the pool. I love the full body, non-impact workout. My favorite fitness tool is my iPod. A good, upbeat song can keep me going, even when I want to stop. This sounds perfect for low intensity strength training!! If I don't win the giveaway, I may still go find it at Walmart! My favorite fitness tool is my Garmin GPS watch! My favorite fitness tool has to be my Garmin to track my runs. I don't have a favorite fitness tool but would love to own this fitness band! I'm having shoulder surgery in 10 days and this would be great to use in my rehab! My favorite fitness tool is my Garmin GPS/Swim watch! My new running shoes!!!! 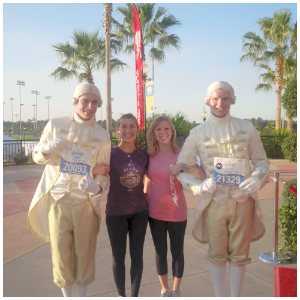 :) I'm a newbie runner. I love/hate my foam roller! My favorite fitness tool is my running shoes! My running shoes and the bicycle! My favorite fitness tool are my SelecTech dumbbells. Love being able to dial in the weights rather than taking off/putting on individual weights. Right now, my favorite fitness tool are my compression socks - especially during + after long runs! It's hard to pick just one fav. fitness tool - but I'd have to say my Mizuno running shoes and Garmin! Would have to be my Garmin. Wish I wasn't such a running nerd. My favorite fitness tool is my Garmin. Can't run without it. Hate to bang the same drum but my Garmin watch is my favorite. Although the most hated is probably also the most useful - the dreaded foam roller. Oh very cool! 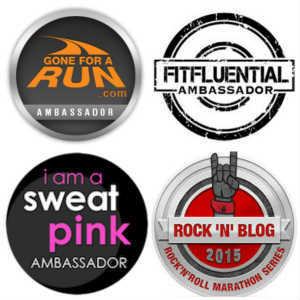 I was going to say my fave tool(s) are my running shoes, but seeing everyone say Garmin, I realize that's my too LOL. And thanks for stopping by and commenting on my blog! I love my running shoes they are one of the most important things in making sure that I stay injury free. My fav running tool is my iphone and gum! My favorite fitness tool is the TRX band! !It's so versatile. My favorite fitness tool would be my gps watch! My favorite fitness tool is my iPhone and gum! Currently, my favorite fitness tool is my yoga mat. I love my soleus watch. I used to take tons of pills and found my stomach wanting to reject them. The size of those pills and amount make it a deal breaker for me. Now I take a shake in the morning.